Discover How Your Athlete Can Get Results That Will Take Their Game To The Next Level! ENTER APTRIAL17 IN THE MESSAGE BOX! 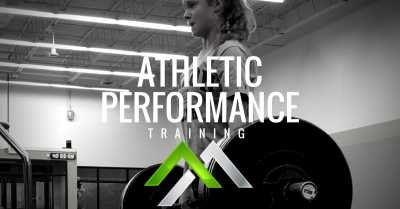 Simply put, Athletic Performance Training works to develop an athlete's current abilities in order to help them perform better on the field or court. Practicing for a sport or playing in games can help an athlete develop their abilities in that sport. An Athletic Performance Training Program can help an child become, a BETTER ATHLETE. It requires that a player learn to move more fluidly, run faster to outperform the competition, cut to prevent getting beat and developing the strength and the conditioning to withstand the stress of their sport. In addition to that, an Athletic Performance Training Program can reduce the risk of injury, to avoid loss of playing time and the pain of being hurt. Playing games makes a player better at that sport, being a better athlete can differentiate them from other players in their sport. Player's want to play. In our highly specialized sport culture, we seek out teams and clubs that travel more, play more games and tournaments. We think, the more games our kids can play, the better they will be. In actuality, players that spend 8 months a year playing their sport are 66% more likely to get injured. Athletes sustain overuse injuries because they only play in the dimensions required in their sport, rather than in the way their body was created. This is a limitation of playing so many games. Don't get us wrong, we love competition! We want athletes to accel at their chosen sport. That is preceicely the reason we developed our Athletic Performance Training Program. We Build Better Athlete's, so that, when they do step on the court or field, they can standout from the pack, earn that starting position or get the attention of recruiters. The Most Comprehensive Athletic Performance Training Program in the Stateline Area. I wanted to send you a note to say how much I appreciate the service you provide to our community. 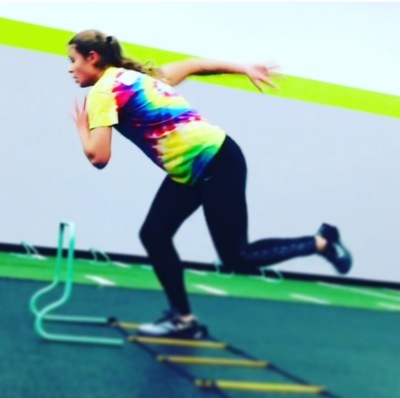 After my daughter Erin tore her ACL and had completed her rehab with ORS, we knew that she needed to do more not only to get back to her playing ability before her injury, but to also improve her athleticism to achieve her dreams of playing in college. After meeting with yourself and Dave (Physical Therapist) we decided to give Movement Fitness a try. From day 1 we knew we were in the right place… The well thought out daily plan derived from her personal needs assessment, to the ALWAYS positive and competent staff made it something she didn’t want to miss. In the past year, your attention has not only netted her the desired measurable improvements she was looking for, but also laid the foundation for good habits for her future. This year Erin not only competed, but excelled in U.S. Youth Soccer’s top division by playing in the National League with her team. She is also fulfilling a dream, by committing to be the goalkeeper with the Women’s Soccer program at the University of Akron in 2018. Movement Fitness helped her reach these goals. As a parent, I think the best compliment I could ever give someone, is that I trust you with my child’s well-being. I completely trust you and would strongly recommend Movement Fitness to anyone that has rehabilitation or fitness goals they want to achieve. I believe that in business you’re often measured by what you do, after you have done what was expected. Movement Fitness has always exceeded our expectations. When Should We Sign Up? Right Now! 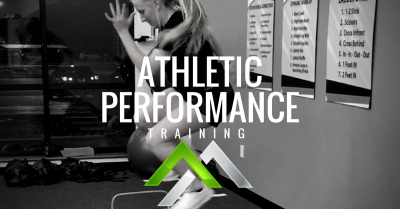 Our Athletic Performance Training Program is designed around your athlete's schedule. We have session packages that can accomodate most schedules. Our program can help your athlete whether they are currently in-season or off-season. Our program has packages for 2, 3 or 4 days per week in order to make sure you can maximize your Athletic Performance anytime of the year. Justin is the Head Trainer an Co-Owner of Movement Fitness. He has been working with athletes for more than 14 years. A former college football player, he has trained D1 College Athletes in football and swimming. He has worked extensively with high school athletes and also works with athletes returning for ACL injuries. He is a Certified Strength and Conditioning Specialist, EXOS Performance Specialist, Certified Functional Strength Coach and Certified Speed and Agility Coach, as well as Certified in the Functional Movement Screen. Trevor is an Athletic Performance Coach that has a degree in Sport Performance. A former State Champion in Football and National Champion at Marian University, Trevor uses his background to maximize athlete's performance. He specializes in Speed and Agility training, helping ahtletes maximize their ability to run faster and move efficiently. Trevor is also a Certified Functional Strength Coach. David is a Physical Therapist and Co-Owner of Movement Fitness. David specializes his practice in the area of orthopedic and sports physical therapy. He is also an adjunct faculty member with the Physical Therapy Department of Northern Illinois University and the University of Minnesota. David's goal is to maximize physical performance and increase durability based on science and practical implications. He assists in the programming and development of injury reduction strategies to reduce risk of injury, while also guiding continuing care following injury. David is a PT, MS, OCS, FMS. Let Us Help Your Athlete Maximize Their Potential!